Ramesh Bhatkar was a Marathi Superstar actor. He died on 4th February 2019. It was a super loss to the film industry as he is one of the top 10 veteran actor. Ramesh Bhatkar Wiki wife Age Death Cause Family Caste & Biography details here. Ramesh Bhatkar was born on 3rd August 1949 and he died on 4th February 2019 in Mumbai. He was 70 years old before died. He was born to Snehal Bhatkar who was a music director. He has one brother Avinash Bhatkar and one sister Snehlata Bhatkar. Date of Birth: 3 August 1949. He was 5ft 6 inches tall and weighted over 70Kg during his healthy time. He was brought up in Dadar. He was brought up in a artist family. Apart from acting, he was a champion swimmer and was an enthusiastic kho-kho player with the reputed Vijay Club in Dadar. His film industry debut was the film Chandoba Chandoba Bhaglaas ka (1977) followed by AshtaVinayak (1978), Duniya kari Salam, Maaherchi Manasa, Aapli Maanasa, and Maherchi Sadi (1991). He also played a groom in the film Lek Chalali Sasarla. He has done over 90+ Marathi movies with a few Hindi film in his list. 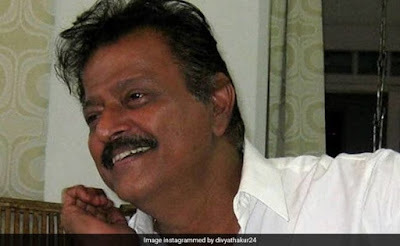 He received fame with very popular detective serial such as Hello Inspector (1990) and Damini (Marathi) on DoorDarshan, Commander (1992) on Zee TV, and Teesra Dola (1998) on DD2. 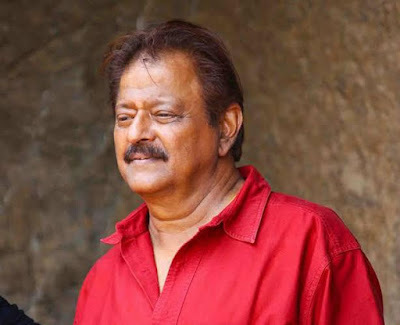 Ramesh Bhatkar was known for his roles in the TV series Commander and Hello Inspector and worked for more than 30 years as an actor in mainstream Hindi and Marathi films such as Aai Pahije, Kucch To Hai and Bhavesh Joshi Superhero.